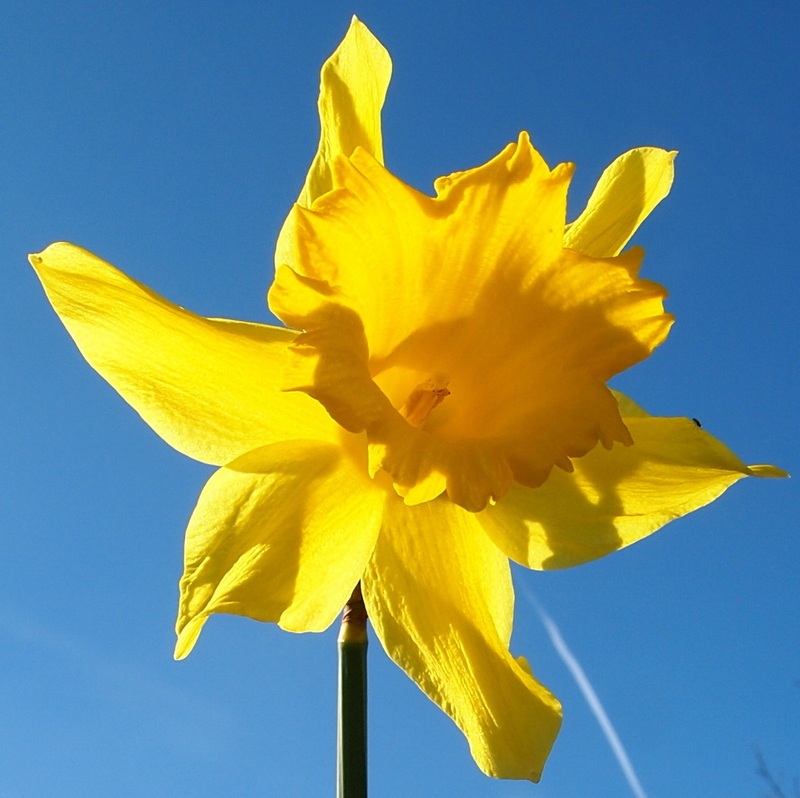 This entry was posted in Garden and tagged Daffodils, nature, Silent Sunday on March 20, 2016 by Murtagh's Meadow. I’ve been on the look out for bumblebees and today they are back! Three days earlier than last year. 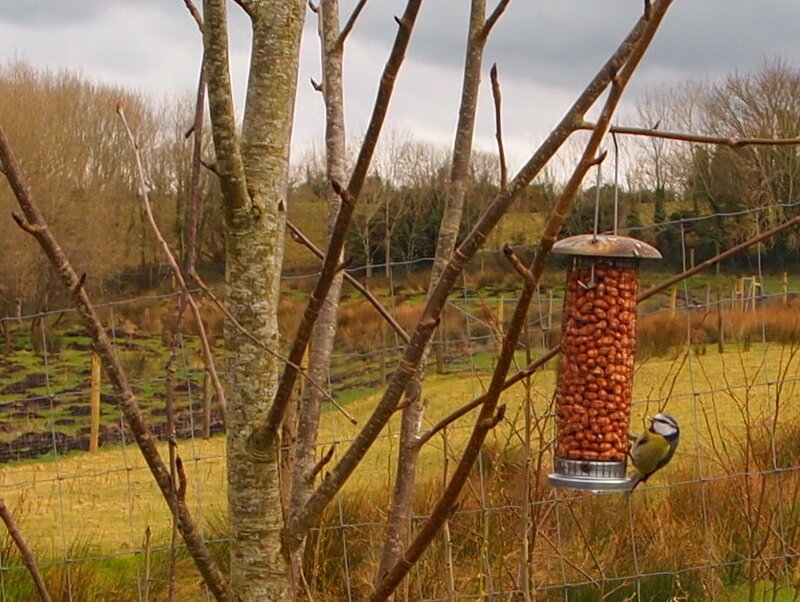 After a wet, cold January and February here in the west of Ireland, we are finally getting some dry weather, and today the temperatures reached about 14 degrees, in beautiful spring sunshine. 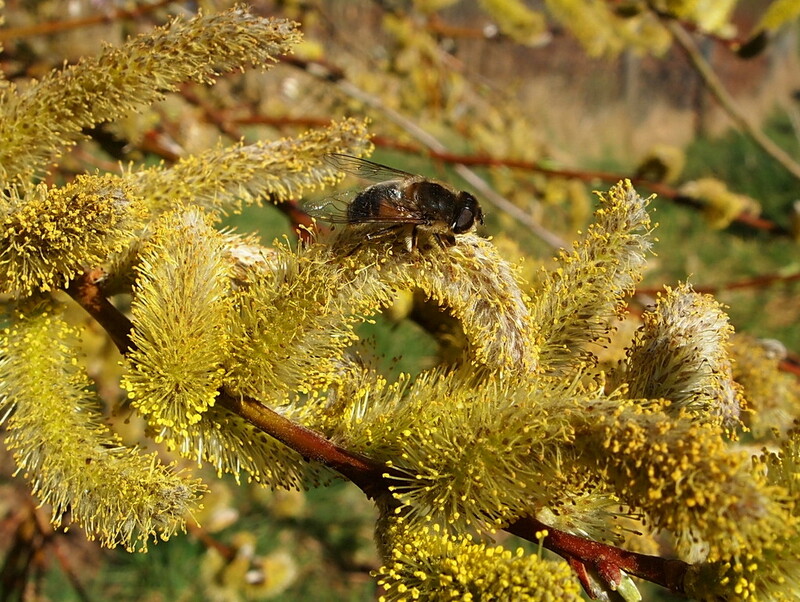 Most of the bumblebees I saw today were feeding on the willow in the garden (it’s a cultivated form which produces pollen a bit earlier than some of our native willows). 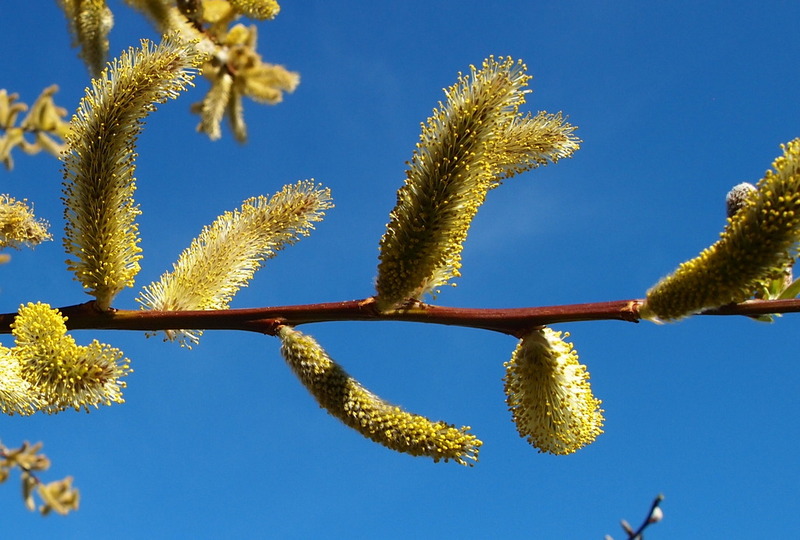 The catkins are full of pollen. Problem was the bees seemed to prefer the higher branches so it was next to impossible to get a good photograph. They appeared to be mostly Buff tailed queens (Bombus terrestris) though I think there may have been an Early bumblebee queen (Bombus pratorum) too – but it was too high and too fast for me to get a proper identification. The droneflies were there too and where a bit more accommodating. 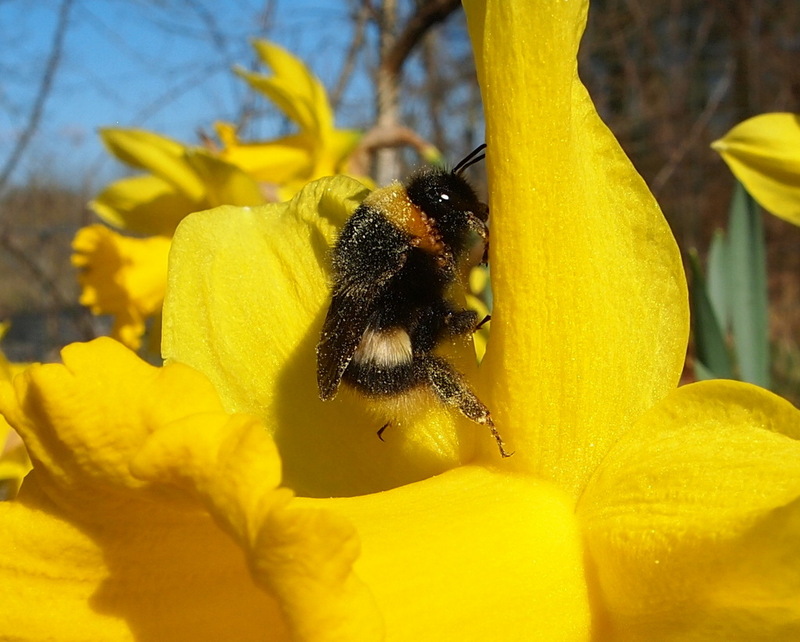 However, I did find a bumble feeding on the daffodils further down the garden and it posed perfectly. I’m a little puzzled by this one as the yellow banding is usually the same colour in freshly emerged queens but this one has two different colours. Still a lovely bee! I am delighted the bees are back. I really feel spring is underway now. 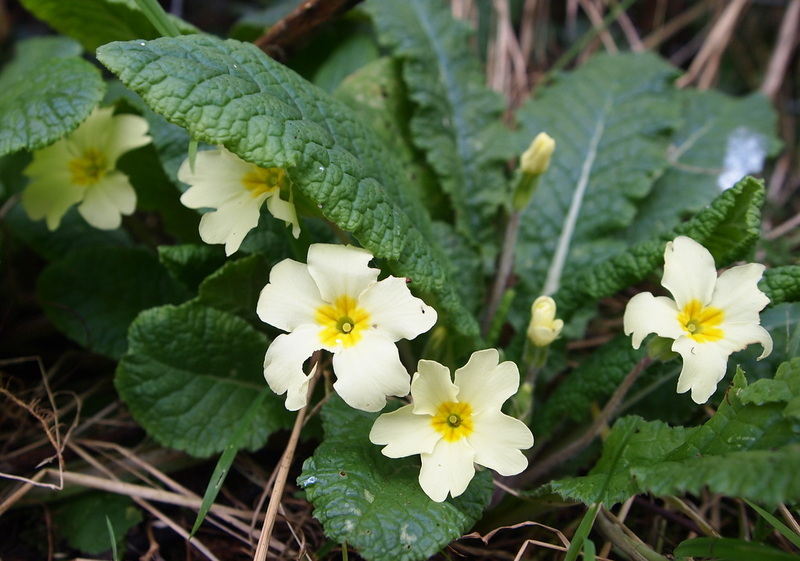 This entry was posted in Nature and tagged bees, bumblebees, Daffodils, garden, West of Ireland, wild pollinators, willow on March 16, 2016 by Murtagh's Meadow. Our friend Celia, at Frogswell Garden, has the most amazing garden. It’s a woodland garden filled with woodland plants and flowers of all shapes and sizes. At this time of year the hellebores and daffodils are at their best. We visited last Friday and here is to just a small sample of what we saw. Celia is a true plants woman and her love and knowledge of gardening is evident just walking through the grounds with her. I should write more but have decided that a picture paints a thousand words, so enjoy! This entry was posted in Garden and tagged Daffodils, Frogswell garden, garden, hellebores on April 15, 2015 by Murtagh's Meadow.